Winmate has announced a unique addition to its Industrial Display series - 19 inch bar-type LED display. This 19 inch display is designed for those customers who want to capitalize on digital signage but do not have an environment that allows for standard-sized screens. With 1680 x 342 special native resolution, 300cd/m2 max brightness and 2000:1 contrast ratio, Winmate 19” LCD provide you another solution for applications. 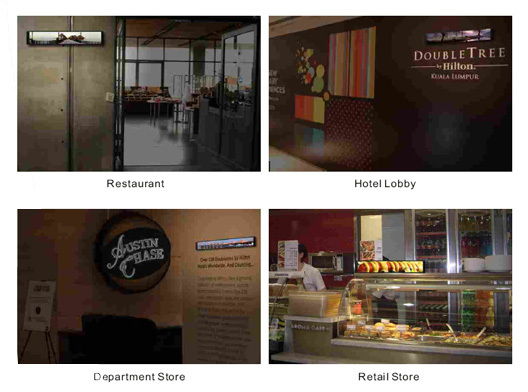 This allows Digital Signage providers to use existing standard PC and graphic cards and drive these special panels. 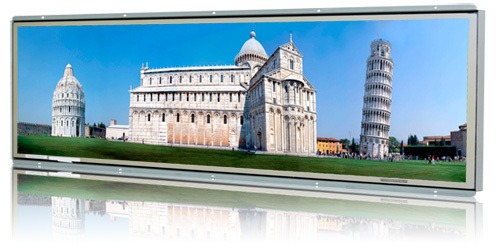 Winmate's special designed AD board is capable of driving the very narrow panel with a standard resolution of 1680x1050, but displays only the top third of the desktop height. ※Although the panel resolution is 1680 x 342, please input 1680 x 1050 format signal to it.